Best Bid aims at linking vacation villa owners with deal seekers. This is a unique service that helps both the home owners and the vacationers. For most owners, the goal of renting your vacation home is to defray some of the costs of upkeep on the property. A few weeks of renting out the home can really make a dent in the maintenance and utility expenses on a second or third home; which for many owners is reason enough to post vacation rentals. 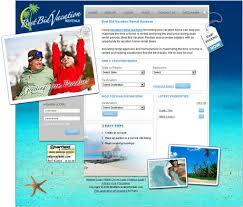 Actually making a profit on your vacation rental posting may seem to be completely out of reach. But did you know that many people actually turn a sizable profit on their vacation homes by being smart about how they post their properties? Keeping a few suggestions in mind may mean you actually pocket a sizeable income from your vacation home, even before tax benefits and property appreciation is taken into account.